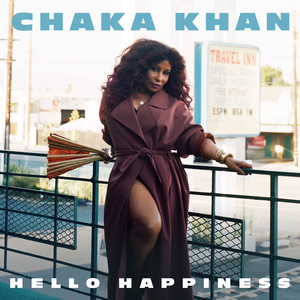 Chaka Khan : Hello Happiness album download | Has it Leaked? "Hello Happiness" is first new Chaka Khan album in 12 years. Chaka's previous album was 2007's "Funk This". New record is said to be inspired by events from Chaka's personal life like death of her friend Prince and rehab experience. Both singles - "Like Sugar" and "Hello Happiness" - are produced by Switch.